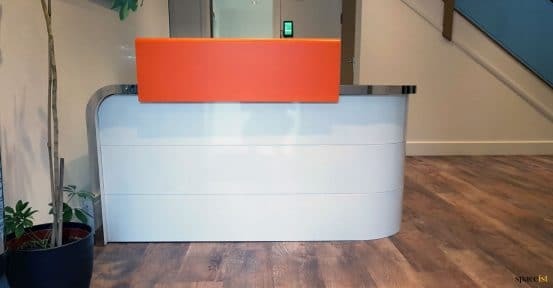 Spaceist made this Hi-line reception to a bespoke size so it would fit into this compact reception space. 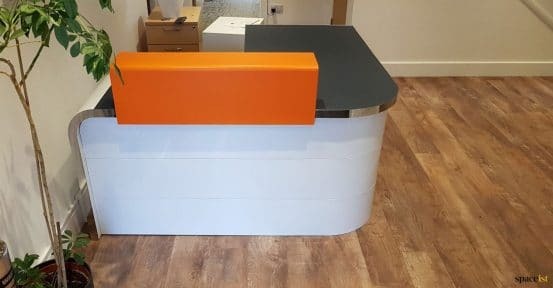 The orange desk top unit was matched through a RAL colour swatch to match the clients brand colour. 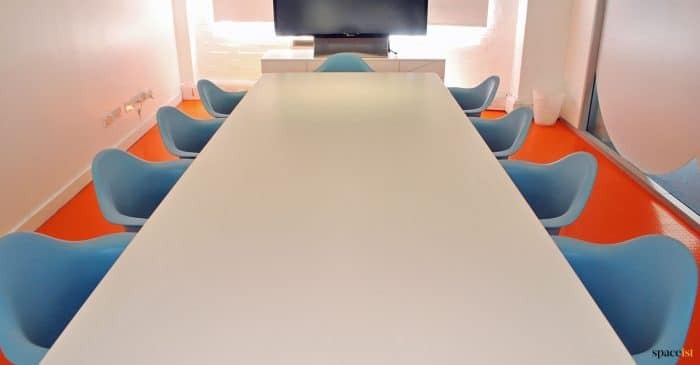 Streak Digital approached the team here at Spaceist to help them select and source meeting room furniture and desks for their offices. 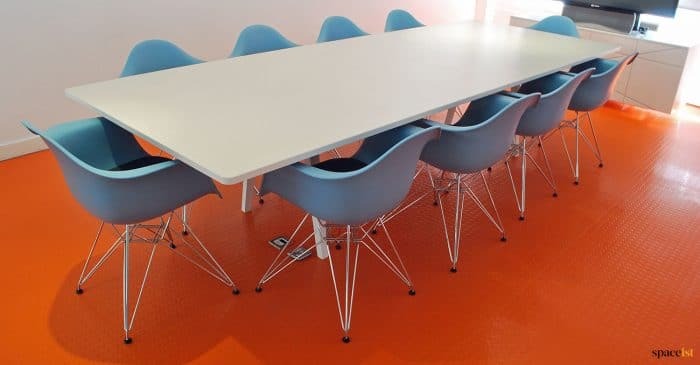 One of their main requirements was that they wanted to offer employees generous desk space – something we were easily able to accommodate. 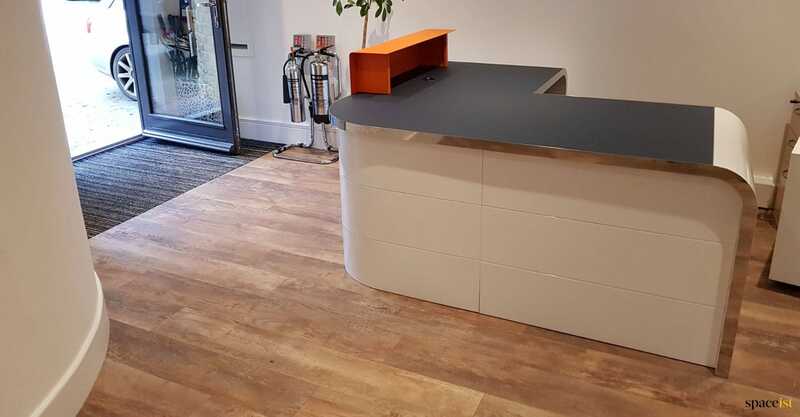 Click through to find out more information about the project and the office future we supplied. 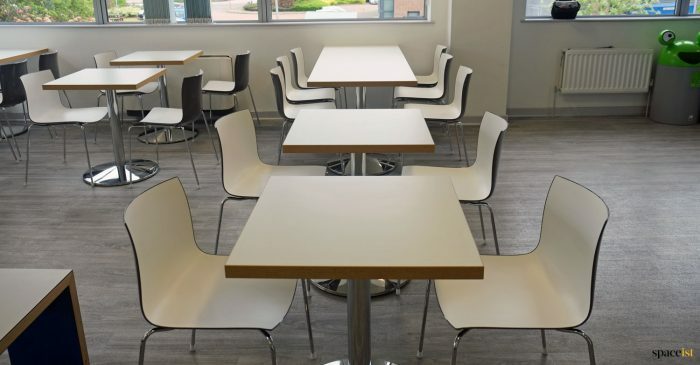 Spaceist supplied a range of hard wearing furniture into a busy staff canteen area. The range had to be wipe-able, easy to maintained and have a modern feel. 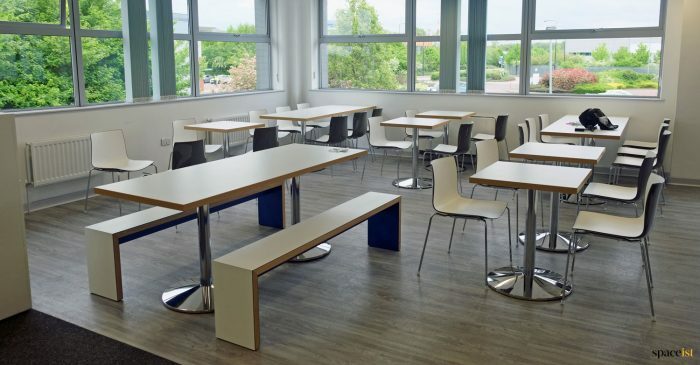 The furniture shown includes JB-Waldo benches, Catifa chairs & chrome cafe tables. One of our most interesting projects to date was for Manchester Airport. 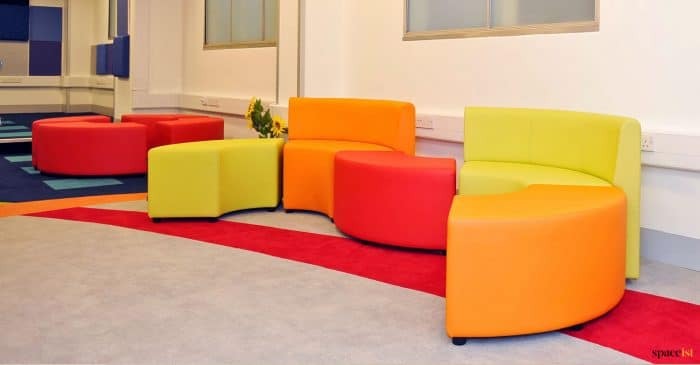 Our team was tasked with providing a furniture package for the newly designed Idealab – a room concept created by Megan Davis. 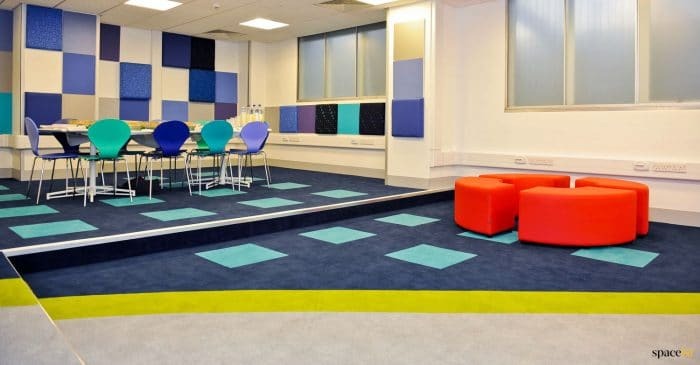 The idea of this room was to provide a place for brainstorming ideas and discussing project challenges. Our team came up with a furniture package that not only fitted with the room’s colour scheme but also contributed to its creative and inspiring design.